The Horror Movie BBQ: Reviewing Turtle Power!! When I first got word of a new Ninja Turtles documentary entitled "Turtle Power, " I almost flew through my chair. I mean, thirty years of history of something so near and dear to my heart in one documentary is going to be a very interesting watch and more importantly a documentary on my childhood. Does that sound weird? I don't think so. I feel no matter how huge my love of G.I. Joe and Masters of the Universe may be, for some reason Teenage Mutant Ninja Turtles is the toyline that sends me back to the toy aisle of Kiddy City quicker than any other. It sends me back to the first grade when my best friends and I got up at the end of the day and started singing "We're The Turtles" from “Coming Out Of Our Shells.” It sends me back to seeing the poster for "Secret Of The Ooze" for the first time in a theater and freaking out big time. So, no, I guess it doesn't sound weird at all. When early previews and teasers started popping up online, I had to email the film's director, Randall Lobb, in hopes to get a few words with him about this rather ambitious project. Randall seemed excited to put word out of his upcoming DVD . And as a lifelong Ninja Turtles fan, I was happy to help him promote it. After receiving the screener disc and reviewing it twice in a day, I found it to be a very enjoyable experience. It included many tales and behind the scenes activity I never heard or witnessed. According to Mr. Lobb, he had quite the support. "We reached out to Mirage Studios, " he said. "And they said we can’t stop ya." It seemed from the start it wouldn't be an easy task at first. 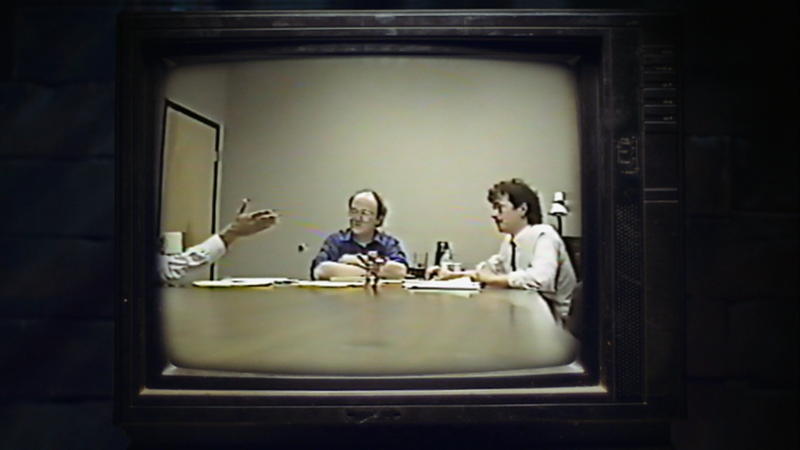 But, thanks to the highest of sources everything turned out ok. "As we came to know Peter and Kevin they began to provide material for the project, " Randall recalls. Top: Early meeting with Playmates to produce the first toys. Bottom: Early sketches for a "Musician Turtles" line. Behind the scenes footage, such as early meetings with Playmates Toys to early test and production footage from the Jim Henson's workshop for the first movie, keep this documentary even more fascinating. Footage that most people never knew existed will definitely please the fans seeking out how the Turtles came into our lives. "T he scene where everyone at Mirage is celebrating the Playmates agreement. Definitely profound moment" Randall said, when asked about his favorite footage. And he's right. It's almost like Eastman, Laird and their Mirage loyalists were celebrating taking over the world. Because anybody who was around back then can tell you they definitely took over. 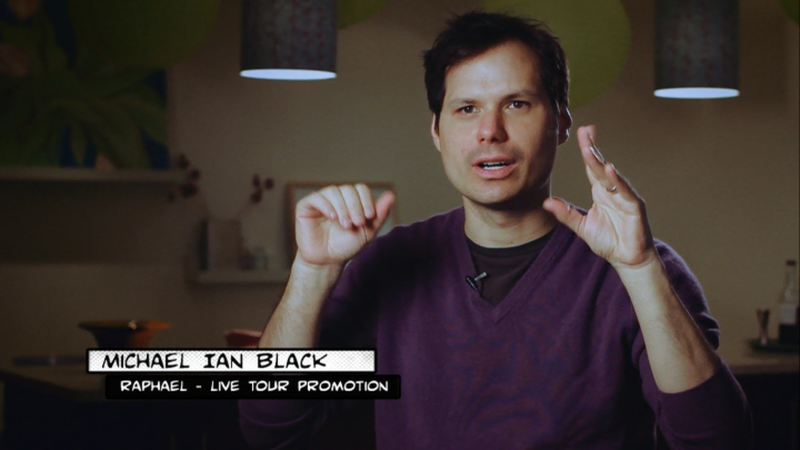 Michael Ian Black and Robert Ben Garant, members of the Coming Out Of Our Shells live tour. On a personal note, being a fan of the State, Stella, and any David Wain project, finding out these two were a part of Turtles lore was a huge freak out moment for me as well! 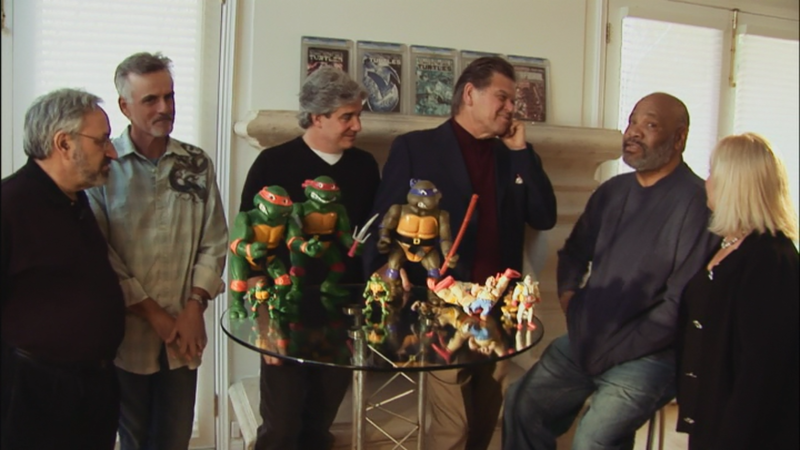 The original TMNT cartoon voice cast reunited! Another highlight for me, and quite frankly anyone who grew up loving the cartoon, was the reunion of the voice actors of the 1987 cartoon series, including the late James Avery. Though Randall has a different highlight stating, "When Uncle Phil came in and started doing Shakespeare, it was all over. All bets were off." It's not everyday we get to see a reunion of our childhood heroes, especially those from behind the scenes. So for us to get an eye into an entire cast coming back together and goofing off together is a rather profound thing to see for all who loved the cartoon. This documentary, available on Tuesday August 13th, is a must own documentary for fans of the series and pop culture in general. Though it's revealed that Eastman and Laird went their separate ways as friends and collaborators, a happy ending shows they eventually came back together to work on their most famous creation years after their split. This documentary shares a happy message to follow your dream and just take a chance, because you never know where fate will take you. 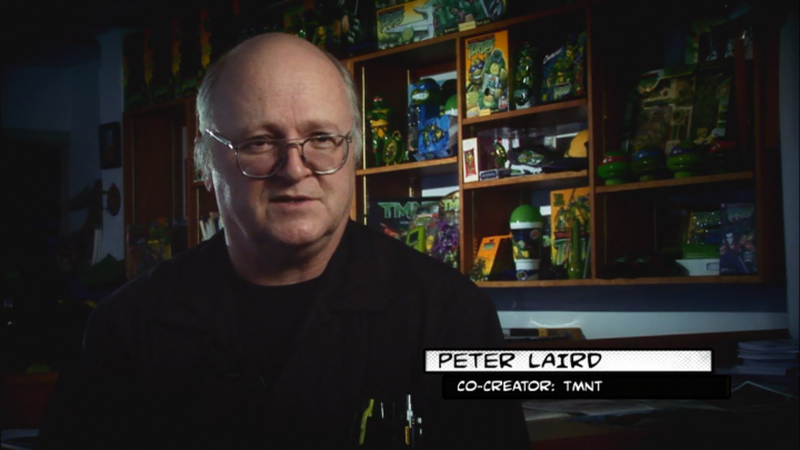 Because let's face it, if Teenage Mutant Ninja Turtles can capture the imagination of the world, then anything can. All it takes is one dream, a chance and determination! A very big thank you to Paramount for allowing me to review this great DVD, as well as Mr. Randall Lobb for giving me a few moments to discuss this project that took years to complete. This movie can't get a higher recommendation out of me. I've seen a lot of documentaries lately but I have never seen a documentary on something so close to my childhood like this. It really hit close to home for me and made me remember why I loved the Ninja Turtles in the first place. I guarantee you'll have the biggest smile on your face after watching this. 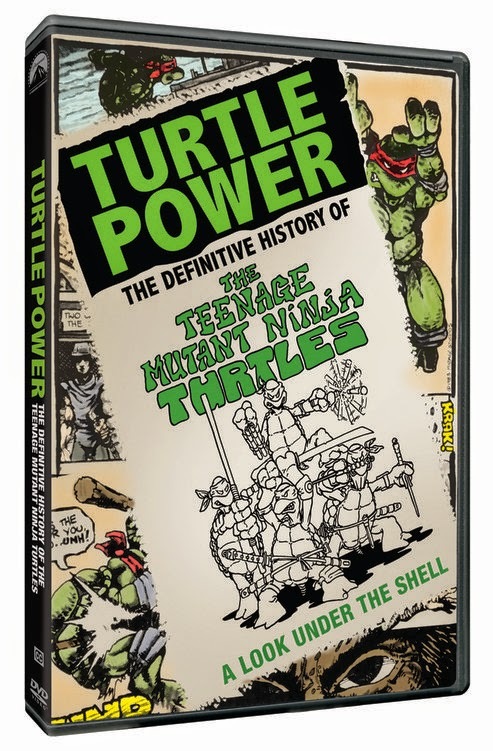 Order the documentary here and sit back with a big slice of pizza and enjoy the history of those wacky Turtles! For more info on Turtle Power, head to their official site at Turtle Power. August Loot Crate Delivers Happiness! 25 Years of Saved By The Bell!